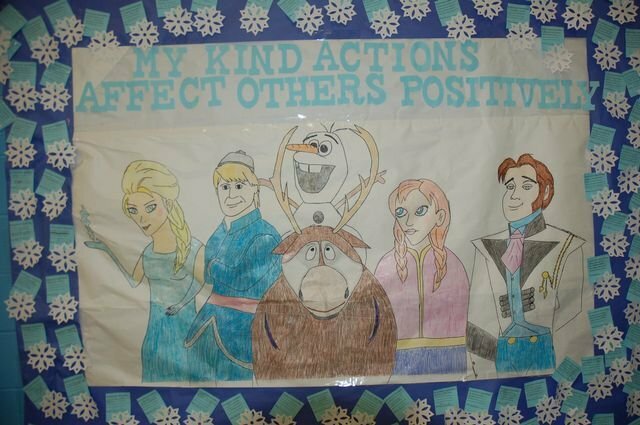 Every Positive Action Affects Others Positively was a school-wide collaboration in which students discussed the positive things they do for others and how this can have an impact on others in a positive way. Students completed a writing component which included the nice things they do for others. 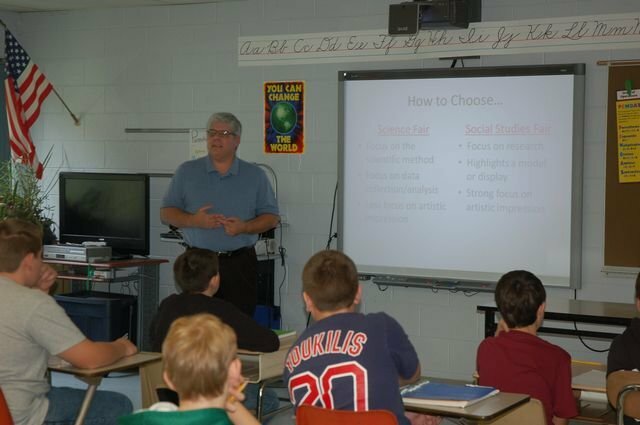 This school-wide collaboration tied to the WV Standards and the goal was to use this as a tool to cut down on negative behavior that occurs as students get closer to the holidays. Mr. Jason Rhodes drew the characters from the Walt Disney Film Frozen. The Reedy Elementary Christmas Play was entitled Christmas Cards for Everyone. The play was written by Connie Wilson, one of our beloved and retired Reedy Elementary School Teachers. The play was directed by Mrs. Emily Alvis, Sound and Lighting Engineer was Tammy Roberts. Mr. Scott Greathouse, Music Teacher, and Mrs. Rhonda Haines, Flautist. A special thanks to Mrs. Alvis and the rest of the staff for a job well done! 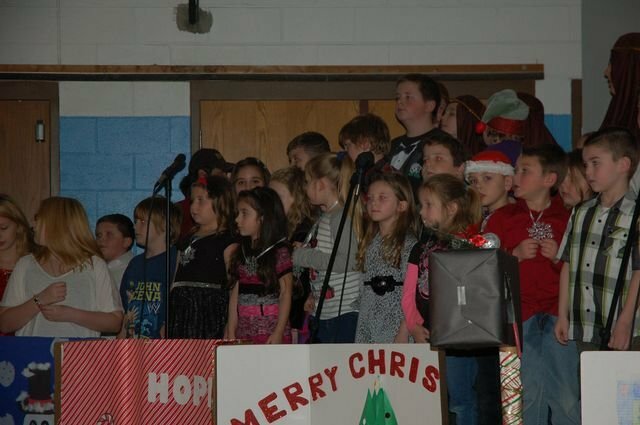 All Reedy Elementary Students had a part in the play and each grade sang a Christmas Carol. The Reedy Elementary Students were dressed in holiday attire. The Reedy Elementary Choir also sang a Christmas Carol. The staff did an excellent job of preparing students and the students did an excellent job on their parts. It was a traditional Chrismas Program at its finest. Thanks to all who came out for a truly entertaining and magical evening. The Reedy Elementary Staff and students worked on a School-wide Collaborative Project in which students read stories about Rumpelstilskin and completed activities that were connected to the WV Standards. 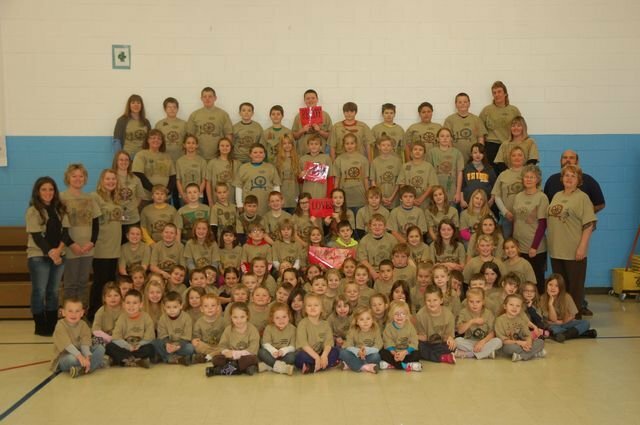 Students completed weaving activities and students decorated shirts in the theme of Rumpelstitskin to wear to the Clay Center in Charleston to the WV Symphony's interactive performance of Rumpelstilskin.